Thu., 29 Aug. - Fri., 30 Aug. Thu., 29 Aug. - Thu., 29 Aug. Sun., 1 Sep. - Sun., 1 Sep. Sat., 20 Jul. - Tue., 23 Jul. Fri., 2 Aug. - Fri., 30 Aug. Sat., 22 Jun. - Fri., 5 Jul. Fri., 14 Jun. - Mon., 22 Jul. Thu., 25 Apr. - Thu., 25 Apr. Sat., 4 Jan. - Sun., 5 Jan.
Wed., 10 Jul. - Sat., 13 Jul. See all 815 properties in Jorge Chavez Intl. 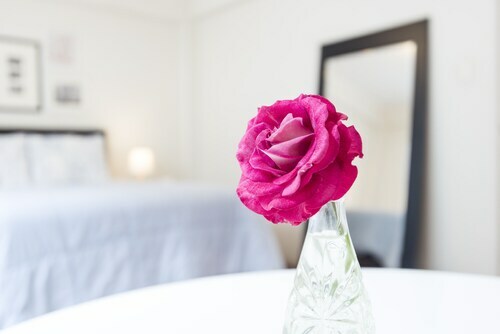 Located in Callao, this family-friendly hotel is 2.6 mi (4.2 km) from Minka Shopping Centre, and within 6 mi (10 km) of Costa Verde and Leyendas Park. Plaza Norte Peru and Plaza San Miguel Mall are also within 6 mi (10 km). Situated in Callao, this hotel is 2.5 mi (4.1 km) from Minka Shopping Centre and within 6 mi (10 km) of Plaza Norte Peru and Costa Verde. Plaza San Miguel Mall and National University of San Marcos are also within 6 mi (10 km). Situated in Callao, this hotel is 2.7 mi (4.3 km) from Minka Shopping Centre and within 6 mi (10 km) of Plaza San Martin and Plaza Norte Peru. 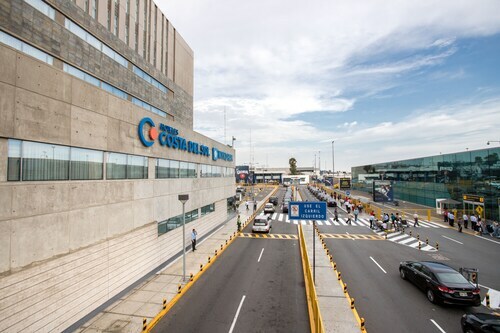 Costa Verde and Plaza San Miguel Mall are also within 6 mi (10 km). 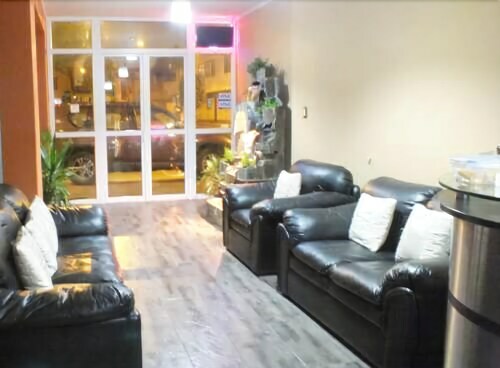 Situated in Callao, this bed & breakfast is within 6 mi (10 km) of Minka Shopping Centre, Plaza San Martin, and Plaza Norte Peru. Plaza San Miguel Mall and Costa Verde are also within 6 mi (10 km). 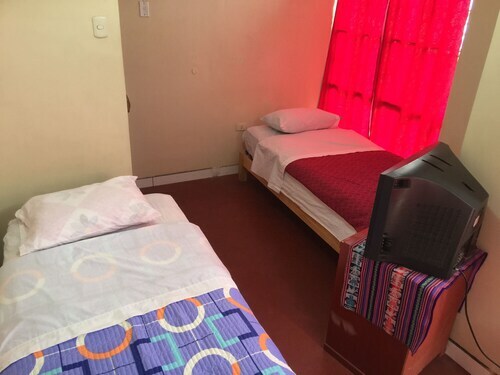 Situated near the airport, this hostel is within 6 mi (10 km) of Plaza Norte Peru, Major National University of San Marcos, and Leyendas Park. 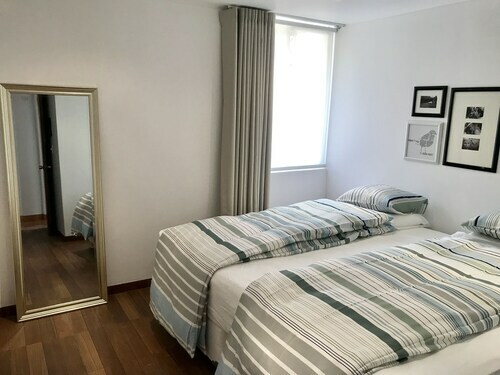 Situated in Callao, this property is 2.6 mi (4.3 km) from Minka Shopping Centre and within 6 mi (10 km) of Plaza San Martin and Plaza Norte Peru. Plaza San Miguel Mall and Plaza de Armas de Lima are also within 6 mi (10 km). 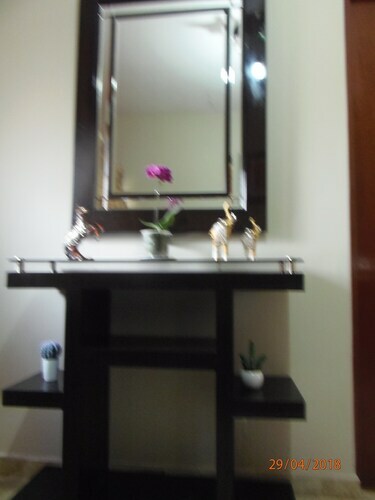 Situated in Callao, this bed & breakfast is 3 mi (4.9 km) from Plaza Norte Peru and 3.1 mi (5 km) from Minka Shopping Centre. Plaza San Martin and Costa Verde are also within 6 mi (10 km). 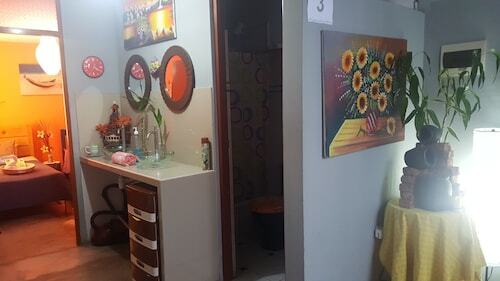 Situated in Callao, this guesthouse is within 6 mi (10 km) of Plaza Norte Peru, Plaza San Martin, and Plaza San Miguel Mall. Costa Verde and Plaza de Armas de Lima are also within 6 mi (10 km). Question : How much time do people spend in Lima? Answer : The average time spent hanging out in Lima by passengers from Cuzco is eight days. However long you decide to stay, give yourself plenty of time to see what makes Lima fantastic. Question : How long is the flight from CUZ to LIM? 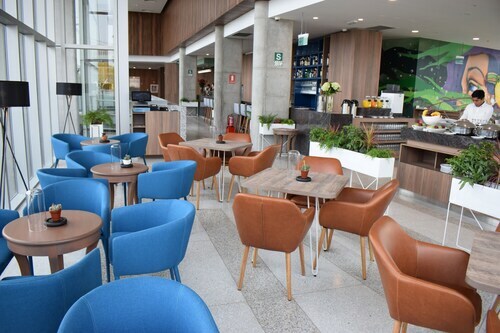 Answer : If you're able to take the direct flight (which is offered by Peruvian Airlines), you will be able to leave CUZ at 11:10 AM -05 and get to LIM at 12:20 PM -05 (one hour and 10 minutes). Question : From Cuzco to Lima, which day is going to have the most flight times? Answer : When you’re flying from CUZ to LIM, the day with the most flight times is Monday, with 68 different options. Thursday currently offers the least amount of flight times with 60 options. Question : How long does it take to fly from Cuzco to Lima? Answer : This flight takes about one hour and 10 minutes via Peruvian Airlines. If you catch the 11:10 AM -05 departure, you'll arrive at 12:20 PM -05. Question : What is the cheapest date to fly to Lima? Answer : Tickets are presently being sold for $137, 37% less than the average price. As of Apr 15th, the cheapest day to fly from Cuzco to Lima is May 2nd. Answer : The cheapest day to fly from Cuzco to Lima is on Tuesday. If you are trying to save a little money on your next holiday look for flights on Tuesday. Question : Which airline has the least delays from Cuzco to Lima? Answer : Booking with Avianca Peru means you will arrive to Lima approximately the time you were supposed to. In fact, this airline has an 81% average for getting there on time. Of course, it never hurts to be prepared. If you’re on Peruvian Airlines, be sure to sign up for the delay notifications to stay up to date with your flight’s status. Plane was late taking off and we almost missed our connecting flight. So I wasn't too happy with that. Should have separate line for bag drop off. Why pre-check and print tickets if you have to wait in the same line? Seats are pretty tight, many the closest spacing i’ve seen since an easy jet flight. I got confused and stood in the wrong line because there were two different check-in desks very close to each other.